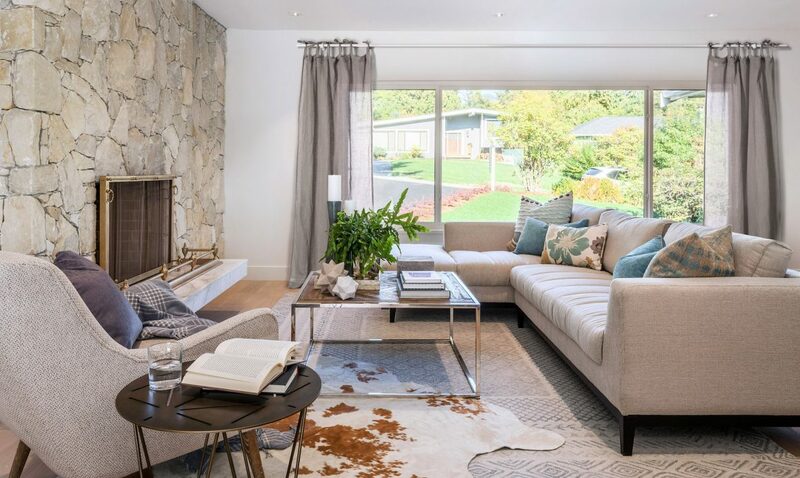 Vancouver designer Negar Reihaniknew she had her work cut out for her when a builder asked her to modernize a North Vancouver home while maintaining as much as possible of the original design and essence of the 1947 structure. It would not be an easy task. 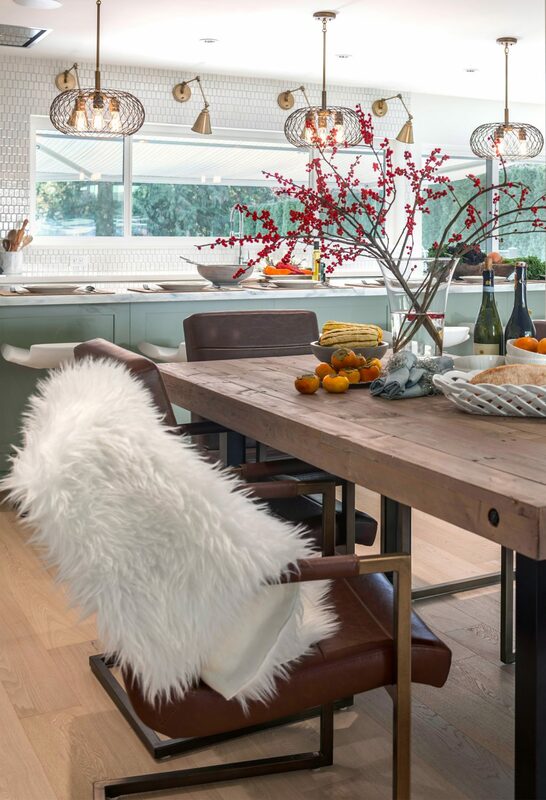 The wood table and leather chairs lend to the rustic, farmhouse ambience that designer Negar Reihani sought to achieve in this North Vancouver home. “The look I was going for was comfortable,” she says. 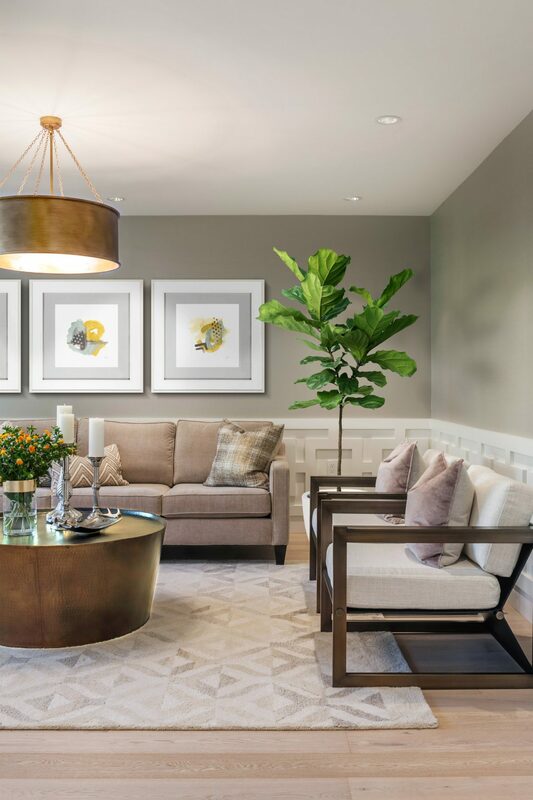 “Few want to take the time and effort to stay loyal and respectful to the original character of a home,” says Reihani, owner and principal designer of Space Harmony. The challenge, she says, was in trying to make the 4,200-square-foot home – which was being renovated for a resale – functional and aesthetically pleasing for today’s family, while imposing a minimum amount of structural change. 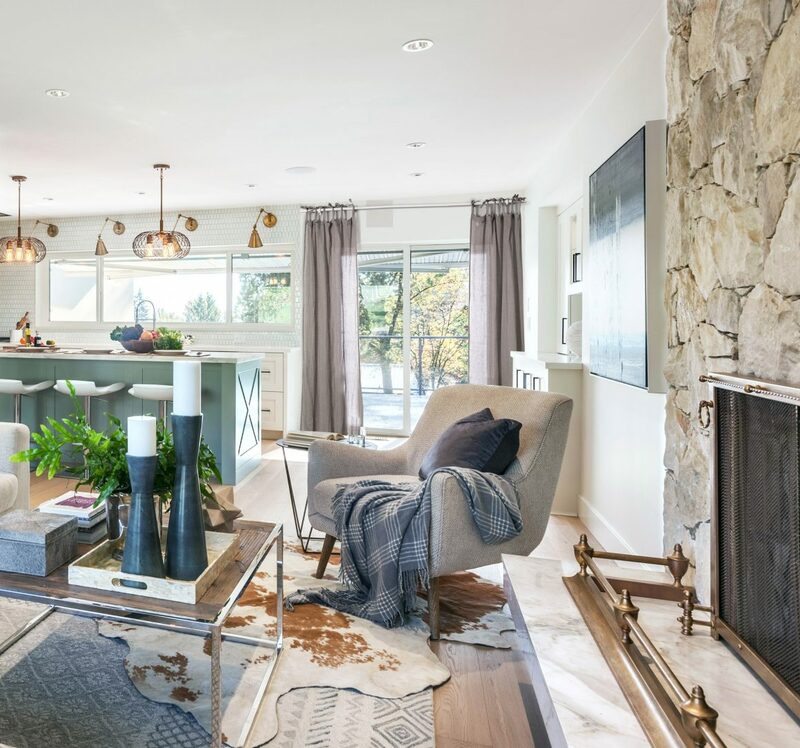 Builders Kaveh Khalilzadeh, Bobby Noghrehkar and Matt Mozaffarian from Kanox Construction “appreciated the detail and heritage of this house,” and Reihani wanted to help them create a contemporary version of the original home. The sloped ceiling adds “personality” while the grass-cloth wallpaper brings warmth and sophistication to the master bedroom. 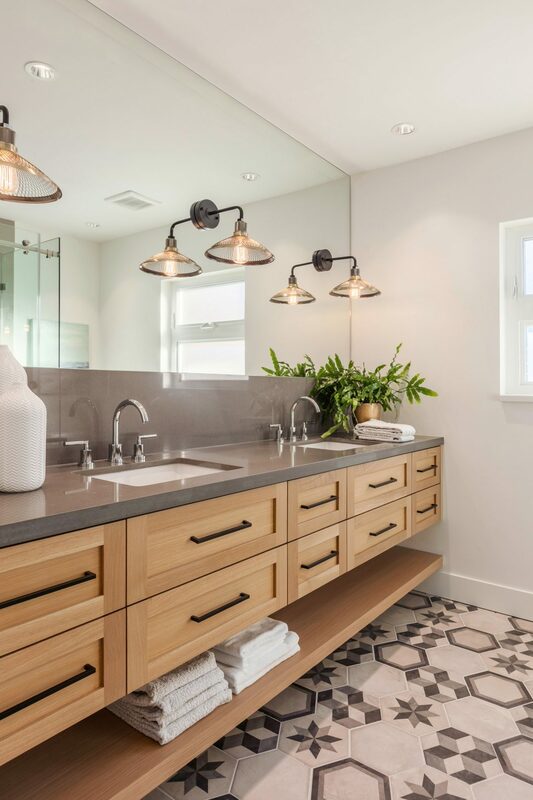 Patterned tiles in the bathroom and panelling in the powder room pay homage to the home’s mid-century roots. “We try as much as possible not to demolish homes but to upgrade them to maintain their character,” says Noghrehkar, adding that the home had spectacular bones for a redesign. And the builders were thrilled with how Reihani retooled the interior to reflect its past. 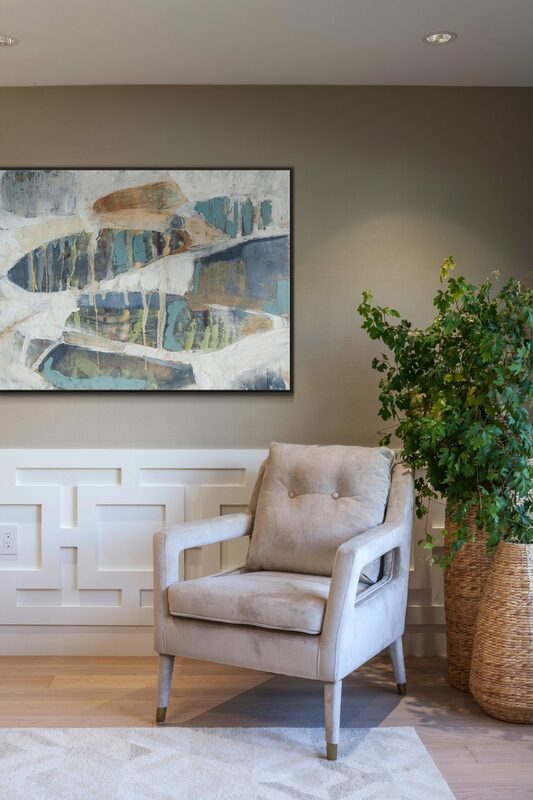 What she came up with is something she describes as “modern rustic.” It’s a comfortable look that Reihani characterizes as unfussy and understated elegance. This was achieved by using texture and warm, natural finishings throughout the home; by layering animal hide throws atop wool area rugs; by keeping the original stone wall surrounding the fireplace in the family room; by introducing wainscot panelling in the formal living room and some “funky farmhouse” chicken wire lighting fixtures in the kitchen. The designer bowed to modern influences by opening the kitchen and including a large, marble island. However, the Shaker doors and light blue accents help maintain the home’s original character. “We created a modern take on what was here,” she says. The sloped ceiling in the master bedroom adds a lot of personality, explains Reihani, and she used a grasscloth wallpaper on the walls to add depth and sophistication to the room. “You can never achieve that with drywall and paint,” she says. 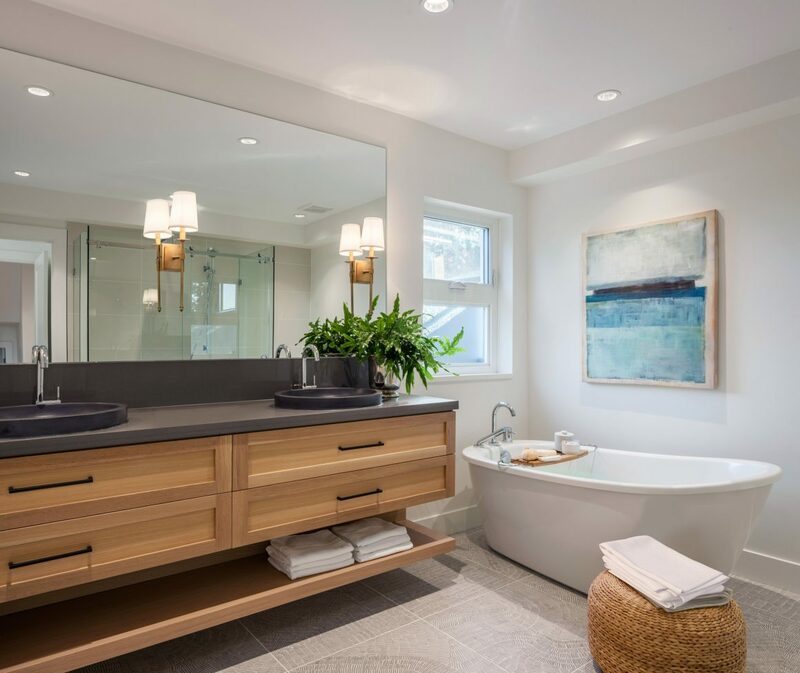 The ensuite master bathroom has several traditional features that also contribute to the modern rustic feel of the house: a freestanding, vintage-style tub; a mosaic pattern in the floor tile; sconces with shades; a rift-cut-oak vanity; quartz countertops in charcoal; and black stone sinks. Designer Negar Reihani opted for open shelving rather than upper cabinets in the kitchen to maintain the modern rustic feel of the home. 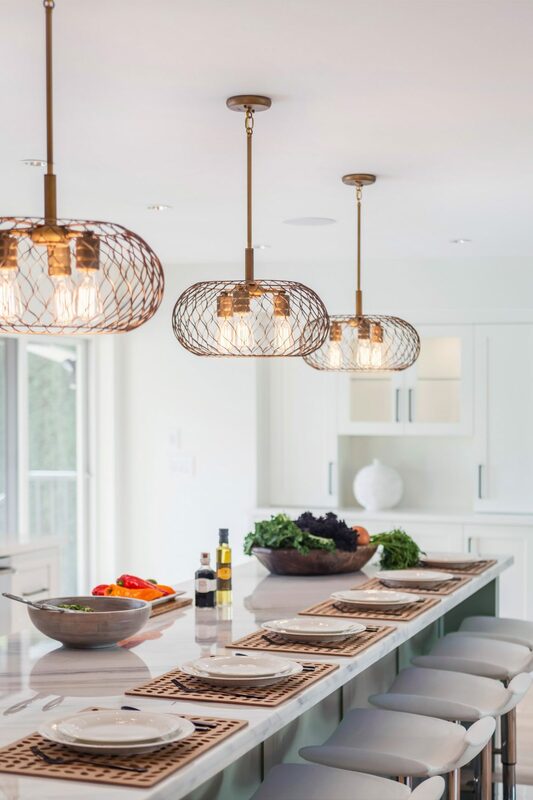 Brass fixtures throughout bring warmth but are also trendy. The chicken-wire lights are both rustic and funky. Yes, that’s a lot of detail, but Reihani believes that to respect the heritage of the house she had to be fussy about all the components. 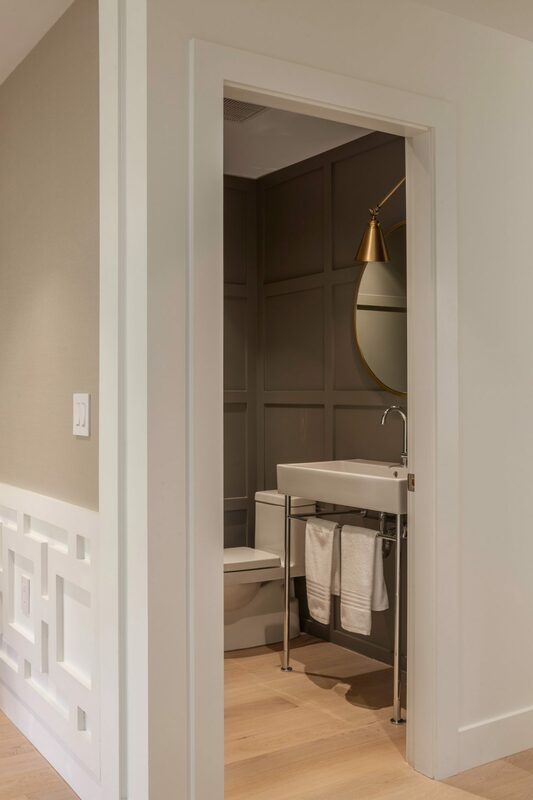 Panelling in the powder room also captures the home’s traditional roots, and even the patterned bathroom floor tiles were selected to reflect the tiles used in the original 71-year-old bathrooms. The engineered bleached wood floors and brass fixtures throughout the home add coziness and style. Reihani says she always chooses style over trends because trends come and go while style is more lasting. The original stone wall around the fireplace adds coziness to the family room, as do the layered throw rugs. A contemporary chair in the living room is complemented by the detailed wainscot panelling. She views the kitchen and family room as the heart of the home. 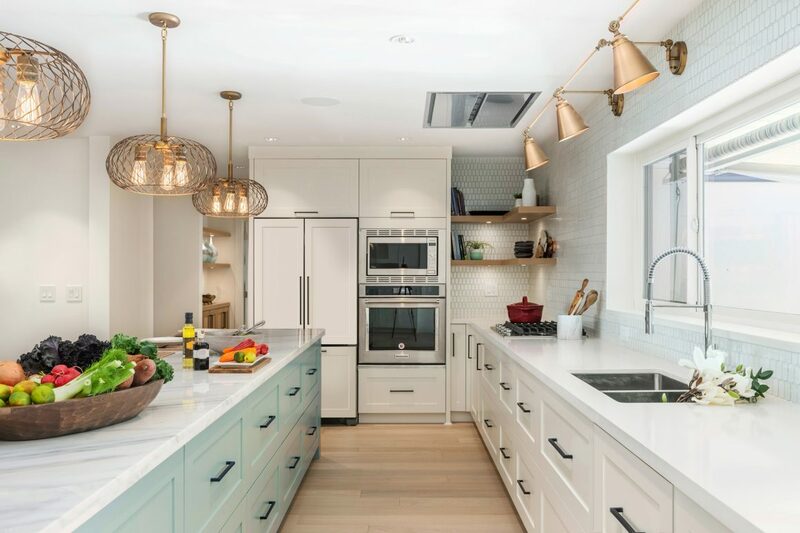 While she bowed to modern tastes by opening up the space and putting in a 15-foot natural marble island, she stayed true to the home’s past by using cream-coloured Shaker cabinet doors in the kitchen, farmhouse panels in the fridge and dishwasher, and a pale aquamarine-blue accent colour on the island. 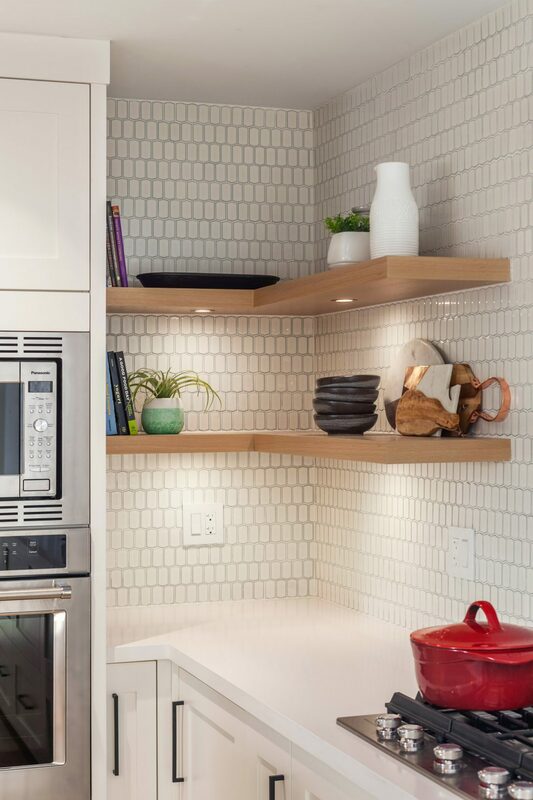 Open shelving, as opposed to upper cabinets, further enhanced “the farmhouse feel,” according to Reihani. “I think it is fun and whimsical and truly family-friendly,” she says. When the project was completed, the house was sold in less than two weeks and set a record-high price for that area, says Noghrehkar. “We were able to do a complete upgrade but maintain the cohesion of the neighbourhood,” he says.